The money saving secret retailers don’t want you to know | do it frugal. With technology moving so fast these days you may find yourself buying the latest and greatest new smart phone or tablet just about every other week. I’m a big fan of technology and embrace it like a good friend who’s here to make my life better in some way, but technology items are one of the hardest things to find great deals on because of the low margins. That being said, you can almost guarantee that no matter where you buy that next smart phone or tablet, you will be getting the best (or close to the best) price on it. So how do these retailers make any money selling this stuff you ask? With accessories of course. Accessories have some of the largest markups of any products you can buy and are one of the easiest ways for just about any frugal shopper to save some money. I was once an avid iPhone user but have recently made the switch to a HTC One. I like to have a few extra charging cables around just so I don’t have to worry about carrying them with me when I go somewhere. I like to keep one in my bedroom, one in each car and another at work. All those charging cables can add up pretty quick if you pay full price, but regardless of what smart phone you prefer, the fact remains that your charging cables and accessories can be had for fractions of what they sell for at major retailers. As of today, an Apple iPhone 5 USB Sync cable sells at Best Buy for $20. For an additional $20 you can buy a USB wall adapter. So for $40 plus tax you can have a complete USB/wall charger to plug your phone into. For my HTC One, an off-branded USB/wall charger is available for about $22 plus tax. Shipping is free from Best Buy for both of these items, but that isn’t always the case. The fact is, every time a new smart phone or tablet comes out, some company goes crazy making accessories to sell with it. Those companies design their products and have them mass-produced in China. They then pay huge packaging fees to make their products presentable, overseas freight shipping fees, marketing and advertising fees to sell their product and if they are lucky, they wind up in a store like Best Buy that sells the products for them. Each stage of the process adds a little more to the price you have to pay so that every person along the way gets a piece of the pie. But why not just skip all those middle-men and buy direct? If you’ve never used eBay I can tell you now that it’s definitely a buyers market. There are some items that get sold on eBay that retailers simply can’t compete with, and cell phone accessories are definitely one of them. These accessory manufacturers setup their own auction listings, sell direct to the customers overseas at a price significantly lower than the retailers and STILL make money for themselves (which honestly baffles me sometimes). 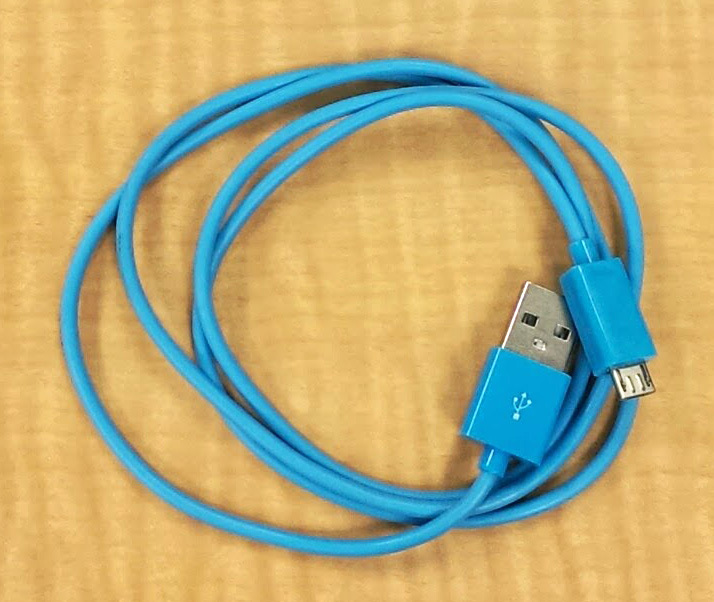 As of today, an off-branded USB/wall charger for an Apple iPhone 5 sells on eBay for $3.58 which includes tax AND shipping. For the HTC charger with cable it’s $2.20 shipped. It’s hard to believe anyone can still make a profit shipping me something this cheap from China but I don’t like to ask too many questions. Quality may come into question with these cables and in the unlikely event that yours arrives dead the seller will no doubt be happy to send you another one free of charge, but even if it dies in six months are you really going to care? At $2.20 I can buy 10 of them before I catch up to the price of one retail charger. These same ridiculous prices are applicable to cases and other accessories as well, so next time you think about buying that pretty new Hello Kitty case, take a few minutes and check eBay. You’ll be sure to save yourself a couple of bucks and you can feel better knowing that you did it frugal.